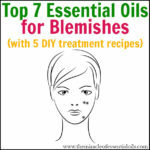 Find out the top 4 essential oils for liver spots to get back a flawless appearance naturally! Liver spots are brown or gray spots on the skin caused by aging or ultra violet radiation. They are more commonly know them as age spots. 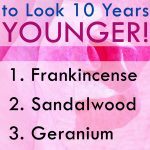 Other names include old age spot, senile freckle and Lentigo senilis. Liver spots range in color from brown, gray, black to red. Age spots normally appear on old people but they can also start appearing at a young age. They show up on skin that’s exposed to sun such as the face, hands, shoulders and even a bald scalp. Contrary to their name, liver spots are related to the liver at all. 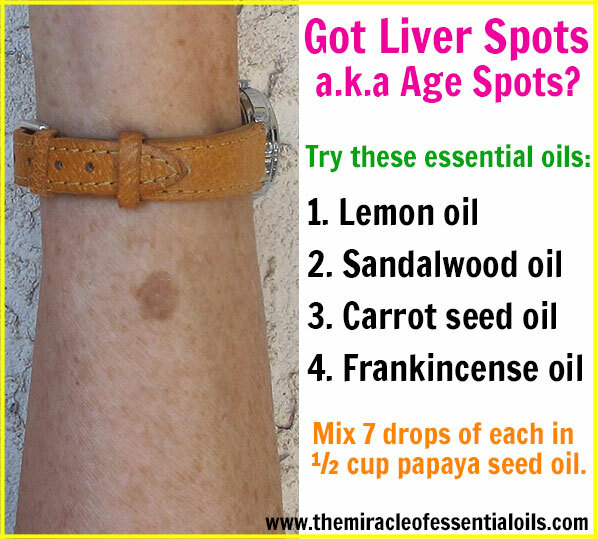 They are called liver spots because they were once wrongly believed to be caused by liver problems. Now we know liver spots are caused by aging and too much sun exposure. 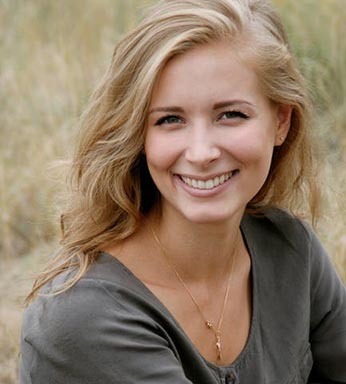 Individuals who get age spots are commonly those above 40 years whose skin is less able to regenerate from sun exposure. Liver spots are harmless though in rare cases they have been known to obscure the detection of skin cancer. 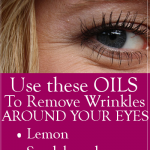 Because they mar a flawless appearance, many people want to get rid of liver spots. 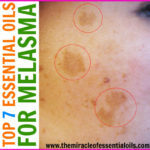 You can combine all three of the above essential oils for liver spots in one effective serum. 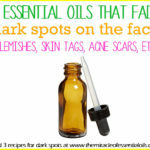 The best way to use these essential oils is by diluting them in carrier oils that are known to fade away scars and dark spots. 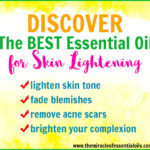 One of the best carrier oils for skin lightening and scar fading is papaya seed oil. It’s a natural exfoliant and it helps lift off dark skin from the liver spots, leaving smooth clear skin underneath. Note: Only apply this serum at night time as it’ll leave your skin exfoliated and exfoliated skin is sensitive to sun exposure. 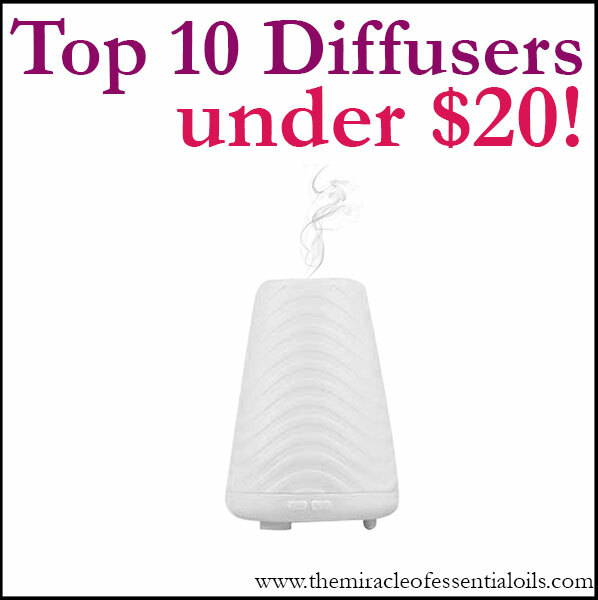 Not to mention, it also contains lemon essential oil that is photosensitive. Using a small funnel, pour the papaya seed oil into the dropper bottle. Next carefully add all the essential oils, drop by drop. Close the bottle and shake gently to combine all the oils together. To use, massage a suitable amount all over the affected skin at night time. Repeat every night for 3-6 months to see real results. Remember consistency is key here! Also, avoid strong sunshine: protect your skin by wearing hats, full sleeves, carry umbrellas and stay indoors during midday when the sun is at peak.